​Dulwich Sports Ground based in south London is managed by a group of volunteers who set up the Southwark Community Sports Trust and whom are also representatives of the local football, rugby and cricket clubs in the area and football organisations in the area. SCST is made up of the following organisations and clubs. 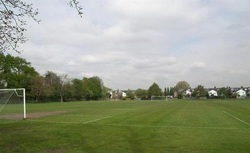 Our south London sports ground located in the corner of Croxted Road, Turney Road and Burbage Road near to Herne Hill and Dulwich Village has over 24 acres of lush grass. Dulwich Sports Ground offers both winter and summer sports facilities to sports clubs for both football and rugby and in the summer months we have four cricket squares / pitches and a 3 lane cricket net for hire. With summer nearly here it may be time to start considering organising a cricket match or other sports event for either Corporate clients, clubs or between friends and family. Or book your pitches ready for next year. We now have four cricket squares and a 3 lane artificial and fully netted practice net, we can accommodate both small and large multi team sporting events. The sports ground's pitches are generally available for hire on Tuesday, Wednesday and Thursday afternoons and evenings but we are also familiar with hosting all day sporting events. The facilities boasts numerous changing rooms and showers (including dedicated female changing facilities) and are fully compliant with disability legislation requirements. Our large pavilion and well stocked bar is the perfect place to host your corporate hospitality day or special sporting event and relevant catering can be arranged to suit your budget or needs including an outdoor barbecue. 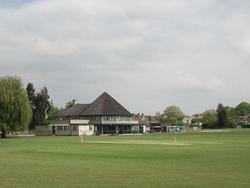 Are you a wandering or nomadic cricket club and are wishing to find a home cricket ground in South London? For further ground and facility information please contact John Smith on 07831 638 775 or email. The football season normally runs from the third week in September to the third week in April. 11, 9, 7 and 5 a side football. Football Lettings – Gary Cornforth email: or phone 0207 737 7283 and leave a message on answerphone. The cricket season runs from last week in April to 2nd weekend in September. 4 Cricket squares, 2 with an adjoining artificial cricket strip. The Rugby season coincides with the Football season thus normally runs from the third week in September to the third week in April. The rugby pitch is available for hire at any time except Saturday afternoons when Kings College Hospital Rugby Football Club have exclusive use. DSG/SCST currently host a number of schools sports activities including weekly football and cricket sessions, inter school matches and School Sports Days. As many will be aware parking at the grounds (particularly on Sunday mornings) is a headache. We estimate we can accommodate about 150 cars including the overflow parking area. The Directors of the Trust are currently acting as parking attendants on Sunday mornings but it would be greatly appreciated, in order to accommodate your opposition sides within the grounds if you could consider either using public transport or using off street parking in the vicinity of the ground. Whilst Turney Road tends to be used by residents we have noticed that there tends to be plenty of space on continuation of Turney Road after the railway bridge and on Rosendale Road. Please note only food and drinks purchased at the ground may be consumed on the premises. We estimate we can accommodate about 150 cars including the overflow parking area. Other Parking on Turney Road after the railway bridge and on Rosendale Road. It is less than a 5 minute walk.